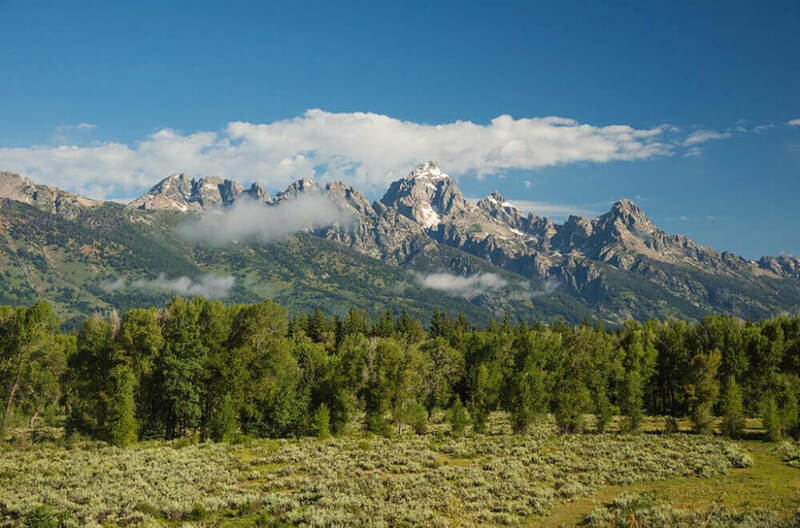 It is an honor to be chosen to participate in the View22 project and to be able to document a small piece of the diverse and incredible properties the Jackson Hole Land Trust has protected. Upon viewing a map of their protected lands I decided to photograph the Circle EW Ranch. Longtime friend and fellow photographer, Liz McCabe, donated the easement on the ranch to the Land Trust. Her enthusiasm for the open spaces of Jackson Hole and photography were infectious. With that in mind, it was a pleasure to try and capture Liz’s spirit in a photograph of the land. The Circle EW easement encompasses sagebrush and riparian cottonwood forest that, thanks to Liz’s foresight, will always be available to wildlife. Fittingly during one of my visits two impressive bull elk walked out of the forest into the sagebrush to start the evening’s grazing, a young cow moose browsed among the cottonwoods, and a pair of great horned owls flew through the tall trees. All of this was accompanied by the soundtrack of coyotes singing in the distance. After making a few visits to the property I had a pretty good idea of what to try and capture. It was just a matter of waiting for the right conditions. One stormy morning in July provided just those conditions. This open space is truly special, and I am happy Liz’s Legacy will live on just as it is.